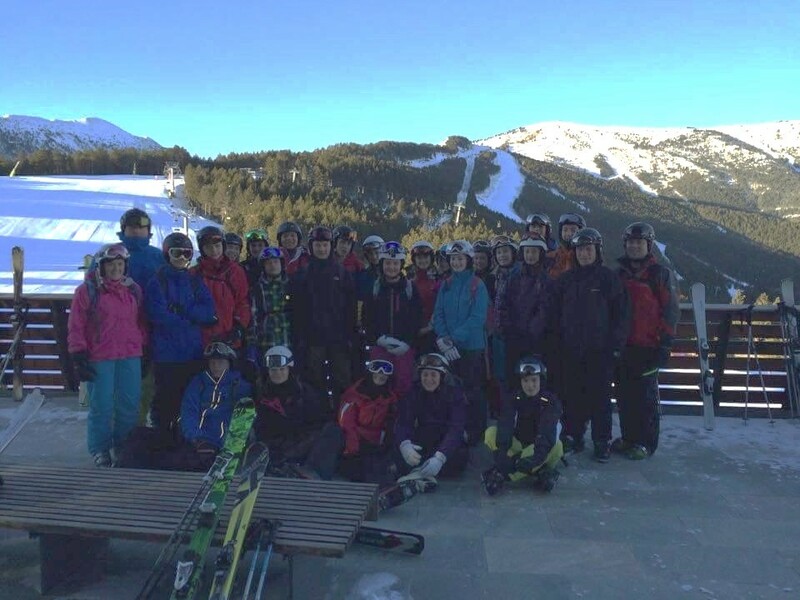 From the 14th February until 21st February 2015, Writhlington School Combined Cadet Force undertook an expedition to Andorra in the Pyrenees. The aims of the expedition were to introduce alpine skiing to novice cadets and to develop the skills of those with previous experience. All cadets were assessed on the Snowsport Scotland Snowlife Award scheme. The Cadet Force travelled by coach from Somerset to La Massana, Andorra on 14th February 2015. Once settled in the idyllic accommodation at Hotel Marco Polo the cadets promptly moved to the local ski hire shop to collect equipment. Alpine skiing lessons started promptly at 0900 hrs on Monday morning and ran daily until 1630 hrs. Thanks largely to the ideal weather conditions in the Pal ski area and wonderfully positive attitudes of the cadets, all members of the group made massive progress on their first day. Even the cadets who were completely new to alpine skiing were assertively tackling blue runs and beginning to link together controlled turns by the end of their first day. As the week progressed, the cadets explored the full potential of the local terrain. The extensive Pal ski area is linked to the neighbouring resort of Arinsal by cable car, which was a welcome change of scenery for the cadets. After skiing on the piste, the Cadet Force engaged in a variety of cultural evening activities. 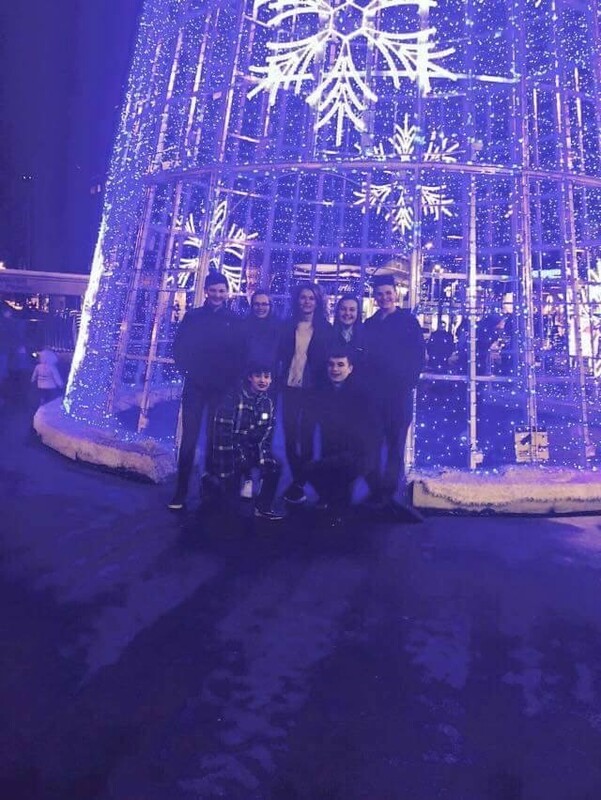 This included a trip to Andorra La Vella, the capital of the principality, where the cadets took advantage of some tax-free shopping. Later in the week, the cadets were thrown out of their comfort zones at the local ice-skating rink in Grandvalira. By the end of the week of skiing, all cadets were able to ski confidently and safely on red runs. Furthermore, all cadets were signed off on the Snowsport Scotland Snowlife Award scheme at a level of 4-star or higher. This expedition would not have been possible without the generous support of the Ulysses Trust. Writhlington School Combined Cadet Force at the Pal Gondola station just prior to lessons on day 1.